Good afternoon crafty friends! I hope y'all are having a great weekend! We are having some stunning weather here is central OK! a card I made last night following the current Mojo Monday sketch. I am also entering this card into the current Verve Inspiration Challenge. Just gorgeous! Thanks for playing along with Mojo Monday! 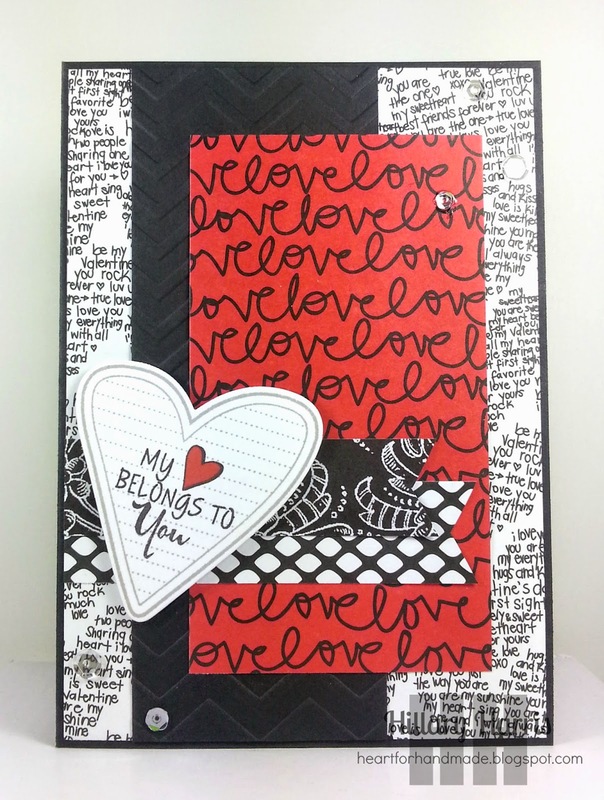 Ooh this is so fun for Valentines and I love the black red and white.